One is going to San Francisco Opera for a year’s residence, the other won a cash prize and recitals in London and Mexico City. Two University of North Texas opera students have snagged major vocal awards this week, including a fellowship with the San Francisco Opera and the top award in an international singing competition. Laura Krumm, a mezzo (far left), is pursuing a master’s in vocal performance at UNT. She has been named one of 10 Adler Fellows, out of a pool of 800 candidates. She wins a year of intensive training and coaching in residence at the SFO, the second largest opera company in North America. 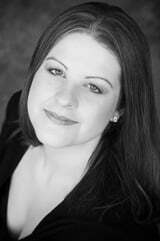 Jennifer Glidden, on the other hand, is a UNT doctoral student who earned first place in the 15th International Voice Competition and Festival held in Trujillo, Peru. She won $4,000 in cash and the chance to perform recitals in Loncdon and Mexico City. The competition featured 42 singers from 16 countries. DENTON (UNT), Texas ¾ University of North Texas College of Music student Laura Krumm has been selected for a prestigious Adler Fellowship with San Francisco Opera, considered one of the top opera companies in the world. As a 2012 Adler Fellow, Krumm will receive intensive individual training and coaching and participate in professional seminars and performances with San Francisco Opera, which is the second largest opera company in North America. The 10 Adler fellows were selected from San Francisco Opera’s Merola Opera Program, which has a pool of more than 800 candidates from across the world. Fellowships are typically two years long. Krumm, a mezzo-soprano, is pursuing a master’s degree in vocal performance at UNT, where she studies with Linda Di Fiore, Regents Professor of music. 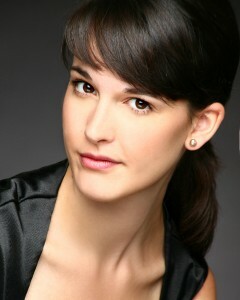 She earned the Bill and Margot Winspear Award at UNT and was selected as a winner of the 2011 UNT Concerto Competition. As a 2011 member of the Merola Opera Program, she was featured in scenes from I Capuleti e i Montecchi and Rigoletto. She has performed in concerts and operas with La Musica Lirica in Novafeltria, Italy, and OperaWorks in Los Angeles and was a finalist in the 2011 Dallas Opera Guild Competition. 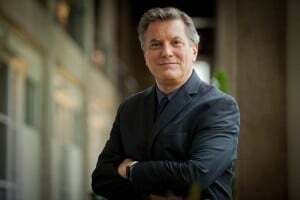 At UNT, Krumm has performed roles in several UNT Opera productions, including Charlotte in Werther, Sesto in La clemenza di Tito and Cherubino in Le nozze di Figaro. Krumm, a native of Iowa City, Iowa, holds a bachelor’s degree in history from Luther College. DENTON (UNT), University of North Texas College of Music doctoral student Jennifer Glidden of Garland earned first place in the15th International Voice Competition and Festival held in Trujillo, Peru. As the top winner, Glidden earned a $4,000 cash prize and will perform recitals in London and Mexico City. The competition, held Nov. 10 through 18, was open to young professional singers and advanced students from age 20 to 38. “I am excited to have this opportunity to perform outside the United States, and I’m looking forward to seeing what lies ahead,” Glidden said. Glidden sailed through three performance rounds in the competition, singing “Come scoglio” from Cosi fan tutte by W.A. Mozart, “The Waltz” from Regina by Marc Blitzstein, “C’era una volta un principe” from Il Guarany by Carlos Gomez, “Animal Passion” from Natural Selection by Jake Heggie, “Wie nahte mir der Schlummer/Leise, Leise”from Der Freischütz by Carl Maria von Weber and “Embroidery Aria” from Peter Grimes by Benjamin Britten. The competition featured 42 singers from 16 countries. Glidden’s roles in UNT operas have included Violetta in La traviata, the Countess in The Marriage of Figaro, Miss Jessel in The Turn of the Screw, and Reginain Regina. She also serves as music director at the Dallas Summer Musicals Academy of Performing Arts and teaches private voice lessons at Sachse High School in the Garland school district. Glidden earned a bachelor of music degree from SMU and a master of music degree from the Cincinnati College-Conservatory of Music before attending UNT, where she studies with Associate Professor Stephen Austin. The highly comprehensive programs of the UNT College of Music enroll the largest number of music majors of any university in the country. The UNT College of Music is the choice of more than 1,600 music majors from all over the world who are pursuing a wide variety of specializations, including classical music performance, jazz studies, music education, composition, musicology, theory and ethnomusicology. The college provides a rich musical environment with 100 full-time faculty members, 200 adjuncts and graduate assistants, a vast music library, and more than 40 student ensembles. UNT music alumni populate every corner of the profession in this country and abroad.